I have run the same campaign since the release of 4e. We’ve been able to last together as a unit for this amount of time for a number of reasons, primarily because we all love gaming and as adults nearing the age of 40, playing with kids at the FLGS is not an option. Also, I think it’s due to the fact that we don’t play too often, our schedules simply don’t allow it. We manage to survive on a bi-weekly schedule, and for us it works just fine. But what about those campaigns out there that implode after a few sessions. This can be either due to lack of DM interest, inter-party bickering that becomes so prevalent that the party can’t be a true team much longer, real life issues keeping players away from the table, or unhappiness with the game system after some sessions. I am sure there are many other things that can cause a campaign implosion, but these are the ones that come to mind. "So what do you say we split the pot, call it even, and go our separate ways?" So about the lack of DM interest, what can you as a DM do to tackle this? First, you need to ask yourself if you are playing too much and are getting bored. I know that I’m not sure if I’d be able to play weekly over a long period of time. Maybe I’d start off excited and gung-ho, but prepping week to week may get old after a bit. I’m speaking on purely personal terms here, but this may be your case as well. DM burnout we like to call it ’round these parts. Walk away for a bit. Take a break. Play a PC and have someone else DM. Play a different game. I recently picked up a copy of a book called “D&D Rules Cyclopedia”. It takes all the rules released under the 80’s boxed sets: Basic, Expert, Companion, Master and Immortal sets and combines them into a hardback rulebook. I’m really interested in playing this, although I know my players will never go for it. Back to the topic, take a look at what’s causing your DM burnout and keep it in check to keep your game from imploding. Inter-party bickering can be a real difficult issue to deal with as a DM. Basically, you may need your leadership role to go past from behind the screen and into the real world to figure out the causes behind the conflict. Stop and ask yourself questions also. Are you placing the characters in situations where you are forcing these issues to crop up? That’s a real possibility. Be mindful of causing too much conflict between different character types. Players take their characters seriously, and you don’t want to instigate trouble as a DM. Your job is to bring the fun, not the drama. Help your players navigate the rough patches causing conflict, in order to avoid a campaign implosion. Real life issues are something that unfortunately, you can’t have too much control over. At the end of the day, we are sitting around a table pretending to be elves and dwarfs running around with swords. Real life is more important. A guy can’t play due to work or school? Then so be it. The DM has to quit because he needs a second job? Oh well. Arguing about real life complications with the people involved isn’t going to help. If they could, they’d play. Think about that. Game system issues are easier to resolve, if the entire party agrees with a change. I know in my campaign’s case, there are grumblings of “3.5 does this better”, but we find 4e enjoyable enough that we keep playing. Nobody has decided to quit based on a dislike of the system. It’s what we play and for no it suits us fine. But what if your players are looking for something else? You need to ask yourself if you are willing to change over to a new system. This involves money and learning a new rules set. Time and money. Are you willing to invest this in keeping your gaming group together? If so, great! Have fun. But there will be times when the player’s lack of interest in the system at hand will show, and this does nothing but create friction and lack of enjoyment–two sure-fire ways to cause an implosion if they aren’t addressed and nipped in the bud. So have you DM’s out there faced a campaign implosion? What caused it? Were you able to salvage it? I look forward to reading your stories. I DMed at one of the early D&D Game Days and tried to recruit players there for a new campaign. I think there were four or five players there who signed up. When I arrived to start the campaign two weeks later, three completely different people showed up to play, two without characters. After character generation, which took forever, we got started. One player was the store owner, who kept leaving the game to look after store business. Within about the first half hour, one PC, played by a player who had already decided D&D didn’t fit his gaming style, killed the PC run by the one player who was really interested in committing to a campaign. I packed up, went home, and never returned to that campaign or that store. A few months later, I proposed a campaign to some guys at my church who had played in college but had been away from the hobby for a while. That group has been together ever since (with due allowances for job relocations and new members, etc.). I’m on my 3rd campaign with that group. Thanks for the post newbie. I’m getting a little DM burn-out myself, mostly as a result of a lot of lofty ideas of mine that don’t seem to be working or working as I would like them to. I’m thinking of changing from D&D 4e and converting all the characters and campaign, but I don’t know how anyone would take it. I’ll probably play for a little more, enough to sort of “wrap up” the current events and give an excuse for an in-story timeskip, and then present the idea of moving to a different system. It’s like you’ve looked at what’s just popped up for my Monday D&D campaign, where I’m a player not the DM. The DM has been rather inconsistent of late. First citing work, then being sick, then a planned 2 week break so he could play Mass Effect 2. We had another couple of players bow out because of work and just yesterday, the DM has told us that he’s bowing out as well. Leaving the rest of us remaining to scramble to see what we’ll play and discussing needing new players regardless of what we decide. It’s most upsetting because I’d been doing a handwritten character-perspective journal for the campaign and now there’s no guarantee that we’ll ever finish the adventures of that character. I was getting burned out after running a weekly game for about 2 years. One of my players stepped up and started DM’ing a game in alternating weeks. So, now we’re still weekly, but I only prepare 1/2 as much, plus I get to be a player 1/2 the time. In my opinion, this is far-and-away the best way to combat DM fatigue. Plus, it allows for extended periods where one DM or the other is on hiatus. The only downside is that progress in both campaigns happens 1/2 as fast, but this usually isn’t too much of a problem. I actually finished a campaign without it imploding first last week and now I’m going to be playing in a few games so that I can recharge my DMing battery. When I get back behind the screen I’m looking at a new system and possibly a new group or at least a smaller one. @Micah – My group is in basically the exact same situation, only I’m the DM who stepped up and decided to run the second bi-weekly game. I’ve been a player in my friend’s 3.5 game for probably close to 3 or 4 years now, and about 6-9 months(ish) ago I volunteered to start running at 4th Edition game on alternating weeks. So now we both get to be players and we both get to DM. It’s been pretty helpful when one of us needs a break or whatever. We’re having a great time and get to use both systems! At university, we typically run semester games, which helps avoid too much burnout over a long period of time. That said, I think that the biggest way to keep a campaign from falling apart is to keep things interesting. People make time for things that are important to them. If they’re having a lot of fun every week in the campaign, they’ll get their work done ahead of time to make sure they don’t miss the next week. Granted, it’s sometimes unavoidable and I think we should be understanding when things don’t work out. But if the GM loves the game and the players love the game, I think that will stop 90% of all campaign implosions. I burned out HARD on D&D 3.5 once the news about 4e started to trickle out. I had been running the campaign for about 2-3 years off and on, and spent a good 75% of my free time most weeks just trying to prep for the game (mostly attempting to customize monsters so it wasn’t the same old kobolds/orcs/giants/whatever each session). While I love D&D, that’s just too much time! I also got sick of 20-30 minute turns in 3.5 as each player tried to figure out what to do and then everyone collaborated to figure out what ridiculous number of bonuses, penalties, and unusual circumstances applied to each action. It sometimes took us 2-3 sessions just to get through a big fight! My favorite things about 4e are the drastically reduced prep time and the drastically greater encounter variety I can build in those shorter times. I also enjoy the typically faster rate turns go by because everything is simplified and spelled out clearly in far fewer words than certain previous editions were prone to using. Combats do still become a grind at times, but at least turns flow by pretty quickly. I find that I rarely suffer from burnout now because I can spend my time planning the story or other interesting encounter elements instead of just customizing monsters, and especially because I get to play more frequently than run while my regular game is on temporary hiatus. 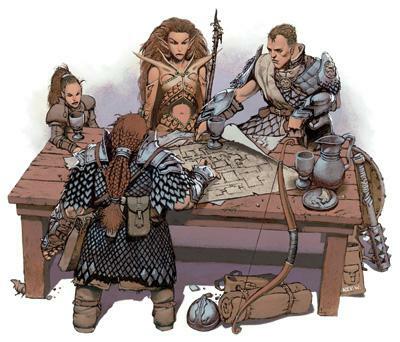 It’s definitely good to be among the PCs now and again, both to remember why it is you enjoy the game in the first place, and to take some of that back to the other side of the screen to revitalize and improve your DM’ing. I’m running two bi-weekly games at the moment – one face to face and one on skype/maptools. I ran my face to face game weekly last year, and it’s only now that I realise just how much work I -was- putting into it. The skype game took some prep initially, but I can see it getting easier as time goes on – this means that those weeks will kind of be my ‘break’. I would -love- it if I got to be a player in one of my games; probably the face to face one. Everytime I go through the character creation process with new players, I think of dozens of characters I’d love to play myself… *le-sigh*. I had a major implosion a few years back when I was first starting out GMing. I was running a psionic themed GURPS campaign and the psionic characters were warned over and over to be subtle because there is an organization hunting psions. Well, one of the player’s idea of discretion was riding a telekinetic lifted desk over New York City. After several such incidents the organization found them. The blatant player complained about being discovered, complained about the power level of the enemy and complained about every rules call in the fight. Eventually I just got up in the middle and walked out of the room. I think it took them a good 20 minutes to realize I wasn’t coming back. I’m not proud of it, but it happened. Every campaign I ever ran or played in fizzled due to real life constraints. Very sad. I’ve gone through several different types of events that have caused games to end. When we played every sunday (back in the school/after school days, before family), I got so burnt out I didn’t DM for several years. When you got a call 9 AM in the morning after a tough saturday night saying “Hey, where are you? We’re gonna start early today!”, you get that. 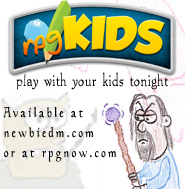 Then, many years later, I GM:ed a Swedish RPG because as my son was to young to understand all the English back them. That campaign died because the game really suffered from the lack of 3rd party stuff, and that it took a full day to create a good encounter for a little higher level party, so I mailed everyone “The war is won, you all find yourself happy in the city you just have helped to save….”, I just didn’t have the time to drive the story forward. I had a group implosion about a year ago. My best player, the actor/popular/funny guy, finally decided he just didn’t have enough time to keep coming. This affected the group quite a bit, lost energy and lost the group’s combat effectiveness. The worst thing that can happen to a group/player is for the game to become a chore: predictable, something that has to be done because you have a responsibility… Pretty sure that’s what happened to this guy. In the year since he’s left, I’ve stepped it up a notch. I put more care into world-building, getting everyone’s input, stealing awesome hooks from blogs and DnDi. Most importantly, this is the hardest part, I got new players who actually wanted to play. To be quite honest, I think I just got lucky that I have players that want to play as much as I do. I had a game implode over the disposition of a defeated medusa. One player wanted to just off her and be done with it (Monsters are fer killin’) and another wanted to blindfold her and march her back to the Brotherhood of Redemption (an organization in Ptolus that tries to “reform” monsters). They ended up fighting each other. The sad part is, this wasn’t part of the campaigns meta-plot; it was a one-shot detour they took because they took an insignificant article in a gossip rag printed in Ptolus and made an adventure out of it (that’ll learn me to spend time writing fake articles for verisimilitude). We switched to 4E after that. That campaign died after about 6 sessions due to attendance issues (family matter timing issues, not because they were down on 4E or my game). I gamed two sessions since then, then hung up the dice bag until my life settles down (since hanging up the dice bag, I’ve moved, my father died, and I got re-married). And if you bring the Rules Cyclopedia to Gen Con this year and run a game, I’ll play in it. 🙂 That’s the version of D&D *I* learned on! I have 7 players in a bi-weekly 4E game that has been going on for over a year and a half now…and they are only 7th level! I needed a break, so my great group of players stepped up and are running short adventures that relate to something personal for another PC. Father issues, past indiscretions, old enemies from back stories, etc. I get to play the character of whoever is DM’ing, so now I finally get to play 4E! After the “side quests” (as the players call them) are complete, I may step back in and we’ll go back into the main storyline…or I just may start Gamma World when it comes out…we’ll see! First off, Thank you NEWBIEDM. All of your work is greatly appreciated. I’ve been fortunate enough in my 20+ years of gaming. None of my campaigns have ever fizzled out. I think the key to success is to listen to your players and design the adventures around their character backgrounds. I’ve also introduced old school items into every new edition of the game. In my 4E FR campaign, the 15th level sorcerer with Wild magic is loving his Wand of Wonder. I’ve also been lucky enough to have the same players throughout the years. Cheers!